One of my favorite things to do is take one of my favorites meals and make it nice and low and calorie friendly. My Cousin owns a little cafe and my favorite treat there for breakfast is the veggie bagel. 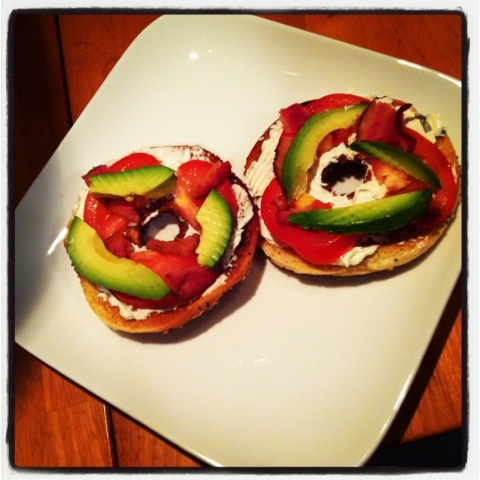 A fluffy bagel covered in cream cheese topped with red onion, avocado, and tomato. Sounds somewhat healthy, but NO the average bagel with cream cheese is over 300 calories add in some avocado and you are over 400. So in a quest to make this a suitable breakfast for me I used an everything bagel thin, 1 tbs of onion and chive light cream cheese, and just .5 ounce of avocado. As a tribute to my Sister In Law I added in a piece of Kirkland bacon for 40 calories. She always orders a veggie bagel with bacon and she is right that is super yummy, but clearly no longer a veggie bagel. hehehe. 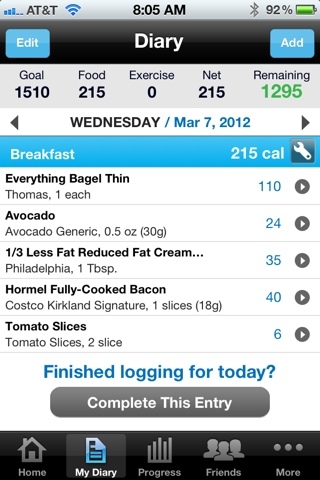 So there you have it, a loaded veggie bagel with bacon for 215 calories. I LOVE this Blog!!!! 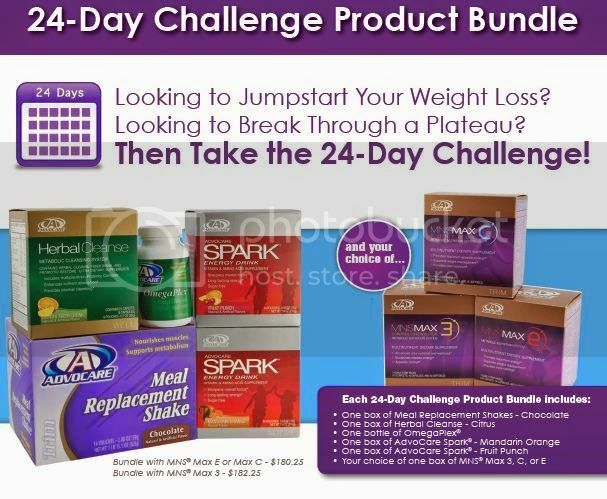 All your good ideas for putting together low calorie/fat foods to make amazing delicious things to eat !! !